Kudzu soap captures the elusive scent of the Kudzu vine that grows on everyone who visits the Sunny South, yet as a seasonal soap, we can stop its production at any time we want. Really. We can. WE CAN!!! It is still the summer of 1999, isn't it? The Kudzu vine really does produce beautiful purple flowers during the Summer months, that very few people see because the vine grows so fast and covers them up! 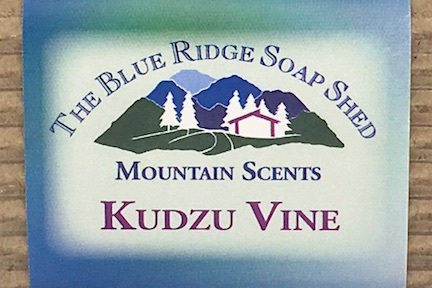 But anyone who's ever been around the vines know that the kudzu fragrance is bright and cheerful, and it's captured in our Carolina Kudzu Soap. Olive, Coconut, Castor and organic, sustainably harvested Palm Oils, Sodium Hydroxide or Lye, Mountain Spring Water, fragrances. Anyone who’s visited the South during Summer months has been awe-struck by those incredible vines that go on for miles and miles, covering everything in its path. “It grows on you,” Southerners say, laughingly saying that the only way to keep it from growing inside your house is to keep your windows closed at night. Kudzu came to the United States in 1876 at the Centennial Exposition in Philadelphia, Pennsylvania, where Countries were invited to celebrate the 100th birthday of the U.S.A The Japanese government built a beautiful garden filled with plants from Japan. American gardeners were quite enamored with the large leaves of the vine as well as the sweet-smelling kudzu flowers. While they help may indeed prevent erosion, the vines also prevent trees from getting sunlight, which can destroy forest. Some herbicides used to try to kill Kudzu have actually been found to make it grown better, while others have no negative effect. Some researchers have had to repeat herbicide treatments for as long as ten years to kill the Kudzu vine. The USDA finally declared kudzu to be a weed in 1972! So if you can’t beat it, do something with it! Goats can graze kudzu, limiting it from spreading further while producing milk and wool products. Some Basket makers have found that the rubber-like, curly vines are excellent for decorative basket styles. Nancy Basket of Walhalla, South Carolina, makes paper from kudzu which she uses in colorful collages. Her designs vary from geometric shapes to images of rural life and Native American themes. Many locals make a kudzu blossom jelly during canning season, others use kudzu leaves in quiche and other dishes, while some people bale kudzu hay for cows. Current research at Harvard Medical School has even identified a drug that can be extracted from kudzu root may help in the treatment of alcoholism. 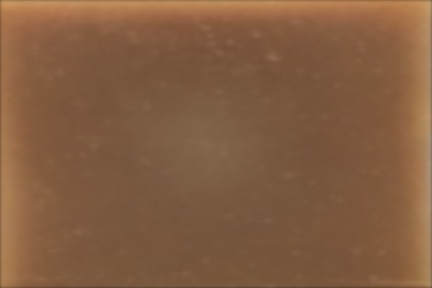 The drug is based on a 2,000 year old Chinese herbal medicine. And of course, you know what we do with it! We make a Kudzu Soap that celebrates that wonderful bright fragrance that the little purple flowers exude – a bright, cheerful grape fragrance. Our Blue Ridge Parkway rangers give us a ‘thumbs up’ on the accuracy of our fragrance concoction, and since they have to struggle with those !#$&*@# Vines all the time, I figure they know what they’re talking about!